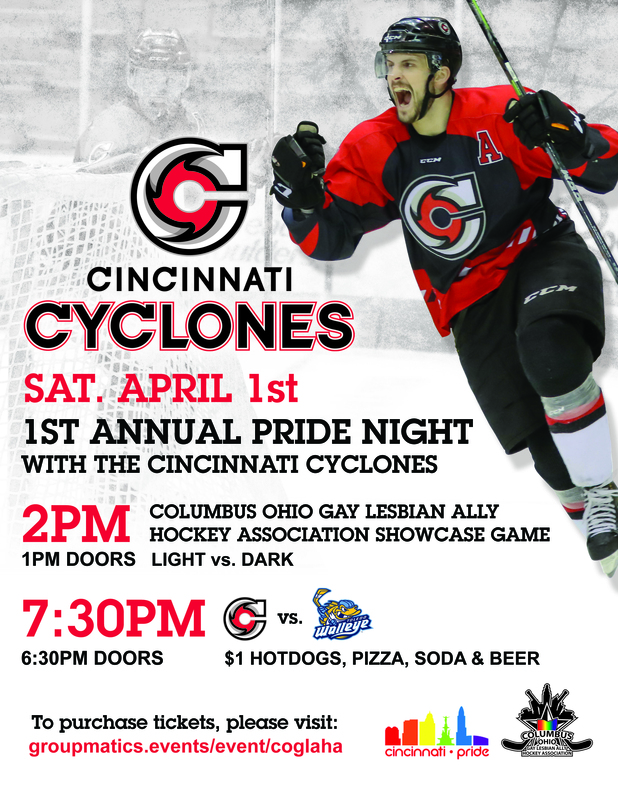 Join COGLAHA and Cincinnati Pride as we host the first annual Pride Night with the Cincinnati Cyclones on Saturday, April 1, 2017. Click here for tickets & information! The NHL has declared that February is “Hockey is for Everyone” month in the National Hockey League. Teams across the NHL are hosting special Pride Nights and here is your chance to get in on the action. Special limited edition rainbow logoed Tees are now available in the NHL Team shop. Don’t miss out on these awesome shirts before they are gone! COGLAHA has been a long supporter of hockey Pride Nights across all levels of hockey. We have hosted some of the first NHL Pride Nights and also the first Pride Night in Division 1 college hockey.